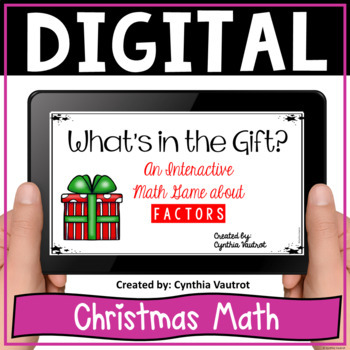 Christmas Digital Interactive Game for Factors is a digital activity created to be used with Google Slides and compatible programs such as Google Classroom. 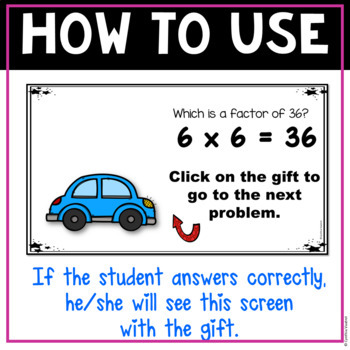 Watch the video to see it in action. See the preview for complete details of this product. 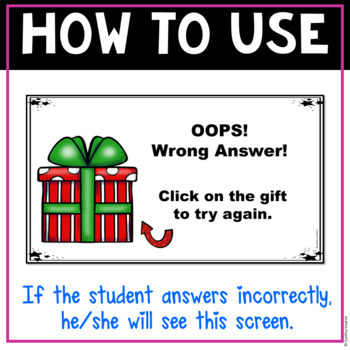 This interactive digital resource will keep your students actively engaged in your Google Classroom as they complete digital task cards during the month of December. 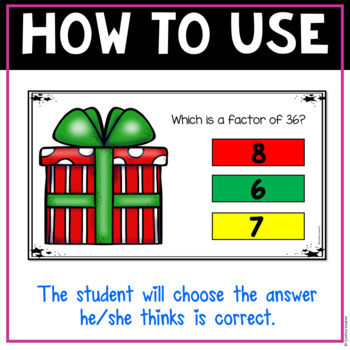 Students will play the game independently for practice identifying factors.